Fans of digital releases of Adventures in Odyssey now have an opportunity to add to their digital collections with the latest special audio release: Our Favorites. The download of the latest compilation album is now available (in the U.S.) with bonus material to sweeten the deal. 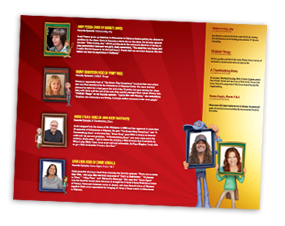 The digital release of the album also features an exclusive digital booklet with bonus behind the scenes facts on the featured actors’ favorite episodes. If you’re waiting for the hard copy, this digital booklet features all the same great content you’ll be getting for making the purchase. In other words, whether you purchase the download version or the hard copy, you won’t miss out on the extra goodies. Click here to either preorder your hard copy of “Our Favorites” or download the collection right now!